and tours to classes and happy hours. tel- 232-3342, East Village Coffee House, Cafe & Wine Bar. 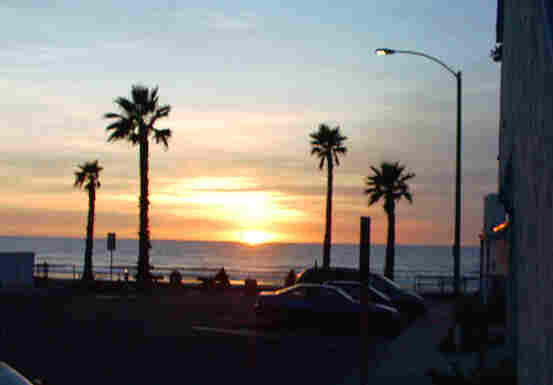 March 15, 2009, Del Mar, California. It will take place between 3:00-6:00pm. 6 - 9 p.m. General Admission; 6 - 10 p.m. VIP Admission, Silent Auction Preview Begins at 5 p.m.
Dear San Diego Community Member, As the Vice President of the Boys & Girls Clubs of Greater San Diego, I would like to take a moment and personally invite you to join us at Rhythm & Vine, our music, wine and food festival that helps us continue our efforts to support the 23,000 San Diego youth we serve each year.In an effort to say thanks for your support, we have put together an outstanding wine and food festival that features 60 wineries, 35 restaurants and gourmet food companies, and three live performances by acoustic guitarist John Torres, classic rock band Crossroads, and variety dance band Atomic Groove.For just $75, you will support our ongoing mission to give at-risk youth a fun, safe and positive after-school environment that keeps them out of trouble and on the right track to success. Your $75 will also get you access to unlimited tastings at our one-of-a-kind festival under the North County San Diego stars. Grand Tasting and Wine Auction on Saturday, May 30, 2009. Proceeds benefit the museum's world-renowned exhibitions, film and education programs. To learn more about the museum, please visit www.mopa.org. Join the Cause! Sponsorship and volunteer opportunities are available for VINTAGE09. Visit www.mopavintage.org for more info! Enjoy a panoramic ocean view while wine tasting from award-winning wineries, sampling culinary delights prepared by our Executive Chef Mindy Petersen, listening to live jazz and viewing artwork from local artisans. Ticket prices include wine tasting, food and a souvenir glass.! The Elizabeth Hospice is proud to be celebrating its thirtieth year of providing hospice services to our community. In commemoration of this milestone, on Sunday, September 14, 2008 they are holding a Wine and Jazz Festival at the Maderas Golf Club in Poway. This will be an afternoon filled with gourmet food, fine wine, auctions and fabulous jazz. Sponsorships are still available. Tickets are $100 each. For more information please call (760) 737-2050 or visit: www.elizabethhospice.org. San Diego Bay Wine & Food Festival - 2008 ! - The San Diego Bay Wine & Food Festival returns this fall with an action packed week of festivities for your inner foodie and wine lover! You won't want to miss the 160 world-class wineries, 60 fine dining restaurants, gourmet foods, celebrity chefs, wine dinners, cooking classes, wine tasting classes, olive oil competition, live and silent auctions, personalities, and whew, more food and wine than you know what to do with! Come join more than 6,000 tastemakers including legendary winemakers, celebrity chefs and others with great taste (just like you!) on November 12-16, 2008 in sunny San Diego. Tijuana- L.A. Cetto Winery - While you may not think of wine and Tijuana, this spot is worth a stop on a day trip to Tijuana! - times thanks for stopping by!